Nu-Way was started in 1916 by a Greek immigrant named of James Mallis. When he got here, he bought the original storefront on Cotton Avenue in Macon. At the time, it was just a fruit stand, similar to the likes of a sandwich shop. But when Mallis saw that hot dogs were the rage in New York, Chicago and other northern cities, Mallis converted his fruit stand to a hot dog stand in 1916. Established the same year as Nathan's Famous hot dog stand in New York City, Nu-Way is the second oldest hot dog restaurant in the United States. Just shy of Nu-Way's 100th Anniversary, the hallowed wiener stand, which has been an Macon institution, was gutted by fire on a rainy, Friday the 13th in 2015. The blaze started in the back of the 120-year-old building at 430 Cotton Ave., at about 3 a.m. according to Macon Fire officials. Owners Dermatas and Cacavias were not deterred by the glistening of smoldering embers, and said this will not be the end of their business. 52 years to be exact! Drinks served with the uniquely Flaky Ice was introduced to Nu-way customers in 1964. It was in 1964 when the concept of shaved ice was developed into a machine. The Coca-Cola Company introduced the machine to Nu-way owners and they were amazed with the ice so much that they tried the machine at one location and it became a huge hit. Baconsfield, which is in East Macon, is Nu-Way's busiest location out of all 11 locations. It’s the one owners and employees alike call Baconsfield Number 5. And the reason for its business is that you’ve got I-16 and I-75 Spring Street Bridge coming from downtown, Emery Highway, Gray Highway, and North Avenue all converging. It’s just a tremendous hub there right behind the Krispy Kreme. A Nu-Way cost only 5 cents in 1916. "Within a few years, the Great depression hit. So that nickel stayed a nickel and it was a nickel up until 1940 or 1941. And then it went to 6 cents, then 7 cents, and then from 7 cents it went to 9, 11, 13 cents. For years, weiners went up 2 cents incrementally. The price increased to 33 cents, 35 cents, and then when it hit 40 cents it went up to 45, 50, 55, 60 cents. 5. There is a story behind “I’d Go a Long Way for a Nu-Way"
The famous “I’d Go a Long Way for a Nu-Way” jingle come along in the ‘70s. Nu-way had hired an ad agency, a group out of Birmingham, to come up with that jingle. Before 1970, Nu-Way used the slogan “I would walk a mile for a Nu-Way,” and owners still have some old paper bags that have the old slogan on them. The original slogan had to be changed because Nu-way was sued by RJ Reynolds Tobacco Company. Camel cigarettes came to Macon, contacted us, then filed a federal case. So Nu-Way had to take the slogan off their products and that’s when they came up with “I’d go a long way for a Nu-Way” slogan. These Are The Places We Ate At With Our Parents, and Now Take Our Children. 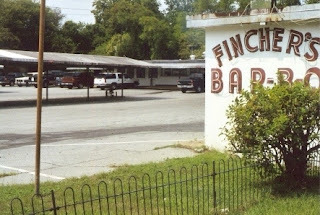 Check out this Top 5 For More Dining Nostalgia.